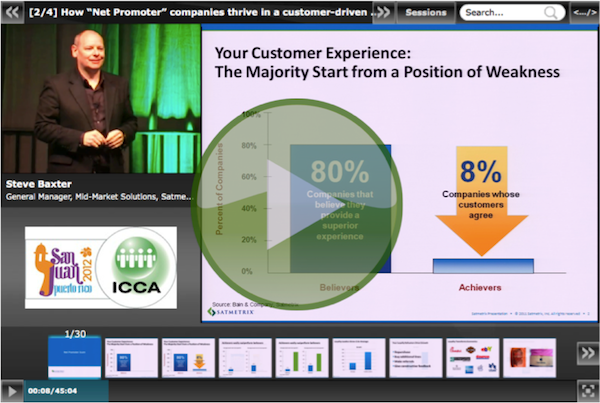 Klewel 2.0 | ICCA 2012 session: How “Net Promoter” companies thrive in a customer-driven world? 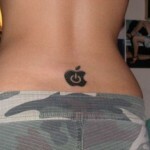 Girls who tattoo their midriffs with the Apple logo are the supreme example of satisfied customers and are worth a fortune to the company. That was the kernel of the message carried by Stephen Baxter, GM, Global Mid-Market Solutions for Satmetrix Systems, Inc., in the Net Promoter session. Apple and is in the ‘promoter’ end of the scale. However, at the other end of the sliderule are the detractors who can cost the company seven thousand dollars each. “Eighty per cent of companies believe they are delivering superior customer service but ask the customer and it is only eight per cent,” revealed Baxter. “Of those companies the achievers vastly outperform the believers,” he continued. • They provide constructive feedback. “The last is most important because they are helping you to improve your business”, concluded Baxter.